The Gift of Carl Musical Instrument Drive will be held Sat., March 31, 9am–5pm at the Indian Prairie Public Library. Drop off your musical instrument in the Library lobby. Refurbished instruments will be donated to local schools and music programs in need. You will receive an appraisal, a tax deduction, and the joy that comes from helping others. Instruments will be appraised by PM Music Center in Aurora. For more information about The Gift of Carl Foundation, visit giftofcarl.org. 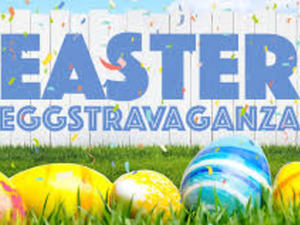 Hit the road to Carriage Greens Country Club on Tues., April 24 from 6–9pm and experience a fun-filled evening featuring the greatest taste sensations from local area restaurants, silent auction, raffles, split the pot, entertainment – something for everyone! 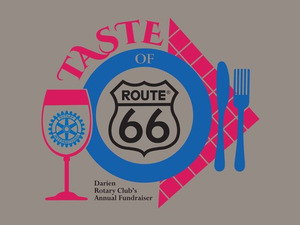 Darien Rotary Club is proud to host A Taste of Route 66 again this year. This annual event is the pathway for the Rotary Club to continue their service initiatives in the community. Darien Rotary Club’s signature project is Food for Kids – a program which provides supplemental nutrition to 195 school-age children in the Darien area, ensuring that when they come to school on Monday they are ready to learn. Other programs include Grants-in-Aid benefitting local civic efforts, RYLA which provides leadership training for local high school students and the Darien Rotary Dictionary Project, handing out dictionaries annually to every third grader in the Darien area (over 700 in 2017 and over 6,000 in the last 9 years). Visit tasteofroute66.org for information and to RSVP. The teachers of Safety Village of Darien will host a “Children’s Bicycle and Pedestrian Safety Smart Course” for children of Darien and surrounding communities. This course is geared for children who are four to seven years of age. Through this course, children will learn and practice skills essential to becoming a safety-smart pedestrian and bike rider. The Lisle Elementary Home & School Organization clothing resale takes place Sat., March 10 from 7–11am and 12–2pm. The resale is a great place to find quality children's items at good values. Items include gently used infant clothing and equipment, children’s clothing, shoes, toys, sports equipment, books, movies, costumes and furniture. The resale will be held at Schiesher School, 5205 Kingston Ave., Lisle. There is free parking and free admission to the sale. For more information, visit sites.google.com/site/lisleresale/home or check out the LEHSO Clothing Resale page on Facebook. 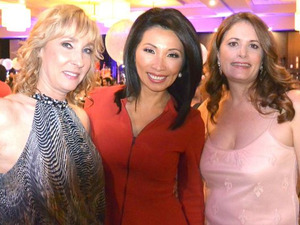 At the 2017 Gala for Family Shelter Service, Shari Gillespie, Darien; ABC 7's Judy Hsu, Hinsdale; Heather Hildebrandt, Naperville. On Sat., April 28, 5:30–11pm, Family Shelter Service will hold its annual fundraising gala, “Free to Fly,” at the Drake Oak Brook with proceeds supporting DuPage victims of domestic violence. Guests will enjoy music, dancing, and silent and live auctions where they can bid on a wide variety of exclusive experiences, event tickets and specialty getaways. Raffles will include a Grand Raffle for a six-night tropical vacation. Our Lady of Peace School invites you to support their largest and most significant fundraiser—the annual Auction Gala. This event will be held Fri., April 6 at the Marriott Burr Ridge, 1200 Burr Ridge Pkwy.